Do you know for a fact that your facility’s battery backup system is working? Unless you perform regular testing and maintenance, your uninterruptible power supply (UPS) may already be dead. Imagine facing a sudden loss of power with no backup generator. For any business, downtime due to loss of power is simply unacceptable. When employees can’t use equipment, phones, or data services, the resulting costs add up by the hour. Beyond the direct consequences, there could also be non-compliance with government regulations, negative customer perceptions of the company, or even loss of customers. Facilities install UPS systems to prevent costly downtime and its effects from damaging their business—but without regular testing and maintenance, the backup system may fail when it’s needed most. Here’s what all facilities directors, data center managers, and business leaders need to know about UPS battery testing and maintenance. How are UPS Systems Used? UPS are essential components of institutional and commercial facilities’ strategies for protecting building operations and critical activities from power problems. DC batteries are connected to the power plant and will automatically power equipment if commercial AC power is suddenly lost. If your facility has a generator, the UPS system will operate the DC-powered equipment until the generator takes over. However, if there is no generator, the batteries will power the equipment until commercial AC power is restored or until the batteries exhaust their capacity. There’s a ticking time bomb hidden in your UPS system. The batteries that power the UPS units have a limited shelf life—typically three to five years. So, when the time comes, and you need those batteries to perform – are you absolutely sure they’re going to work? For a UPS to maximize uptime and protect critical equipment power outages, regular testing is needed. Frequent testing helps to identify problems, alert users when corrective action needs to be taken, and minimize devastating power interruptions. In addition to battery testing being a critical protective measure, battery manufacturers actually require, at a minimum, initial testing of batteries after installation to ensure they were installed properly. Condition of the enclosure; is the area clean? Along with maximizing equipment life, the main goal of any preventative maintenance program is to maximize uptime based on organizational needs. Regular battery maintenance allows facilities to better understand the health of their batteries, so they function when they are needed to provide reserve power in case of commercial AC failure. In addition to initial testing after installation, battery manufacturers also require submittal of annual (at a minimum) battery testing and reports on battery warranty claims. These reports need to include voltage testing, ambient temperature of the battery room, and specific gravity readings (if flooded batteries). Regular testing and maintenance plays an important role in tracking the system’s lifecycle and ensuring that it is operating properly. 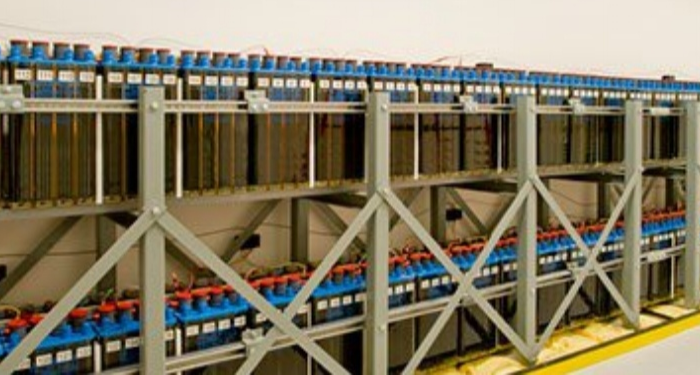 Regular battery testing allows stakeholders to understand how well the batteries will provide power when needed, and provide insight for long-term financial planning and budgeting for replacements. All batteries have a finite life and will need to be replaced at some point, but regular testing allows you to plan your expected replacements. Making UPS battery testing and maintenance part of the facility’s routine maintenance schedule is a crucial step toward ensuring that critical equipment is protected from power outages. 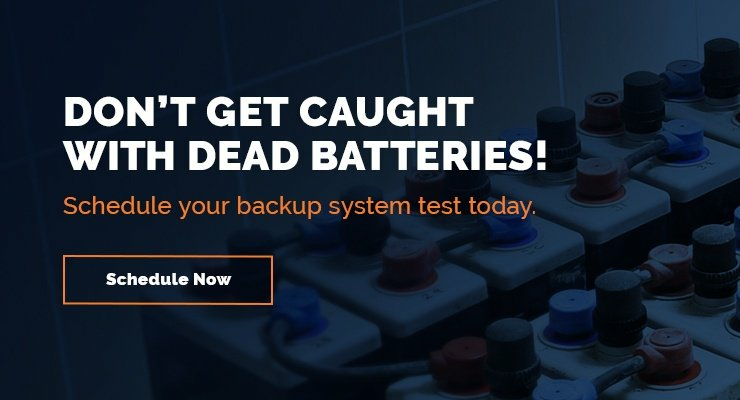 Don't get caught with dead batteries! 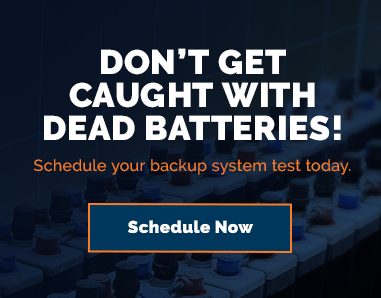 Schedule your backup system test today.